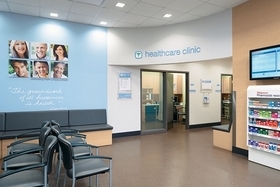 The nurse practitioners at the center of the dispute work in 56 Walgreens in-store health clinics. Walgreens outsourced the clinics' management to Advocate in 2016. The Illinois Nurses Association, a union created by nurse practitioners, is headed to federal court in hopes of forcing Advocate Health Care to acknowledge and bargain with it. INA represents about 160 nurse practitioners who work in 56 in-store Walgreens clinics in the Chicago area. The clinics, formerly named Take Care Clinics, were outsourced to Advocate last year and are now called Advocate Clinics. Advocate, the state's largest hospital network, headquartered in Downers Grove, now leases the space from Deerfield-based Walgreens. When the switch was announced, operations and staffing continued largely unchanged. At the time, the Illinois Nurses Association sent a demand to bargain to Advocate and was informed that the hospital system would not meet with the union and did not recognize it, according to Alice Johnson, INA's executive director. After attempts to open negotiations failed, INA filed an unfair labor practice charge with the National Labor Relations Board in June. Extra charges were added in September. Following an investigation, the NLRB filed a complaint in October. This week's request for federal injunctive relief follows months during which Advocate has been "vigorously fighting us," Johnson says. The petition, filed in the U.S. District Court for the Northern District of Illinois, asks the court to order Advocate to recognize and bargain with the union. INA views the escalation to federal court as a victory because it could speed up a decision. Had the dispute remained within the National Labor Relations Board hearing system, it would have likely entered a lengthy appeal process during which the nurses union would not have been able to get to the bargaining table. Advocate says the problem is a technical one. "At issue is a technical dispute over the bargaining unit," spokeswoman Lisa Lesniak says in an email. "We respect our associates' rights to consider union membership. At the same time, we greatly value our direct relationship with associates, which is key to providing the optimal environment to deliver the best outcomes for patients. As the process moves forward quickly, we are confident the legal precedent supports our position." Advocate took over operations of the clinics in May and soon sent communications to the clinics' nurse practitioners stating that it did not recognize the union, according to Johnson. INA was originally created in 2010 and certified in 2011 by nurse practitioners working in the clinics, then operated by Walgreens, in response to issues surrounding long workdays. "I feel very confident about our case," she says. "It's rare for the (National Labor Relations) Board to take this type of action in seeking an injunction, so the fact that they filed this petition is very encouraging to us. We hope to get to the bargaining table very soon." "Can the National Labor Relations Board drag Advocate to the bargaining table?" originally appeared in Crain's Chicago Business.